Comments Off on Naked Blue cancelled! Naked Blue and We’re About 9 share a double bill at The Cellar Stage on Friday, January 30, 2015. The duo Naked Blue will appear on Thursday, December 5th, 2013 at Baldwin’s Station in Sykesville, MD. Tickets & reservations: 410-795-1041. 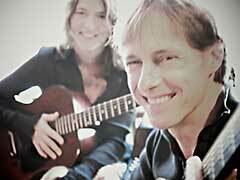 Hear the folk duo Naked Blue at Baldwin’s Station on Thursday, Mar 28, 2013.